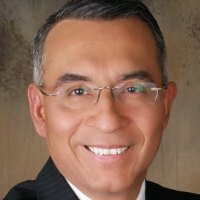 Represented Corpus Christi's District 33 in the state House 2011-13; owner since 1993 of accounting/financial services firm. Says he would be first CPA to serve as Texas comptroller. A candidate who is a CPA says the Texas state comptroller has never been one. Well, yeah.